New York, NY, January 31, 2017 – After considering Cherry Hill, New Jersey’s motto, “You Couldn’t Pick a Better Place,” prominent real estate investor, Asher Zamir, founder and CEO, Zamir Equities, challenged his development team to investigate the Camden County, NJ, office submarket, resulting in the second anniversary celebration of successfully acquiring LibertyView, the impressive seven-story, 122,000 square-foot, Class A office building, sitting on 5+ acres, in Cherry Hill, New Jersey. Considered one of the more desirable buildings in Cherry Hill, New Jersey, LibertyView, at 457 Haddonfield Road, sits at the intersection of Rt. 38 (Kaighns Avenue) and Haddonfield Road, across the street from the popular Cherry Hill Mall. 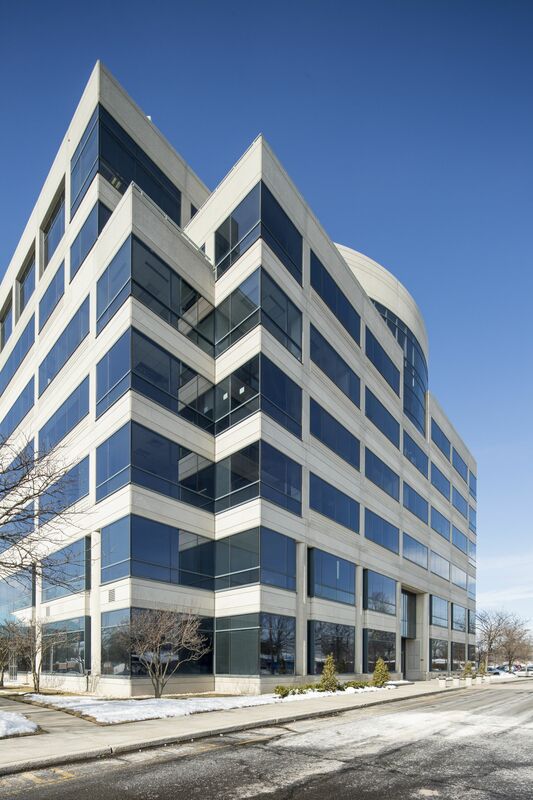 A stunning white façade, modernism-style, steel office building, LibertyView was designed by Philadelphia-based architectural firm, Cope Linder. With a high quality exposed aggregate pre-cast concrete finish, granite entrance accents, and reflective glass, LibertyView’s top two floors have functional balconies along with sweeping, panoramic views. LibertyView’s conspicuous blue roof lighting was deliberately modeled after the crown of the iconic One Liberty Place, radiantly visible just eight miles to the west, in downtown Philadelphia. Often named one of America’s “Best Place to Live,” Cherry Hill is a township in Camden County, New Jersey, and LibertyView is just 10 minutes from downtown Philadelphia, close to I-295 and Exit 4 of the New Jersey Turnpike. LibertyView’s long-term value is also enriched because of Cherry Hill’s growing residential and commercial developments on the Haddonfield Road corridor. As part of Zamir Equities’ acquisition of LibertyView, a developable pad site was later negotiated, and a 20-year ground lease was secured, for the newly constructed Republic Bank branch at the corner of Haddonfield Road and Chapel Avenue. 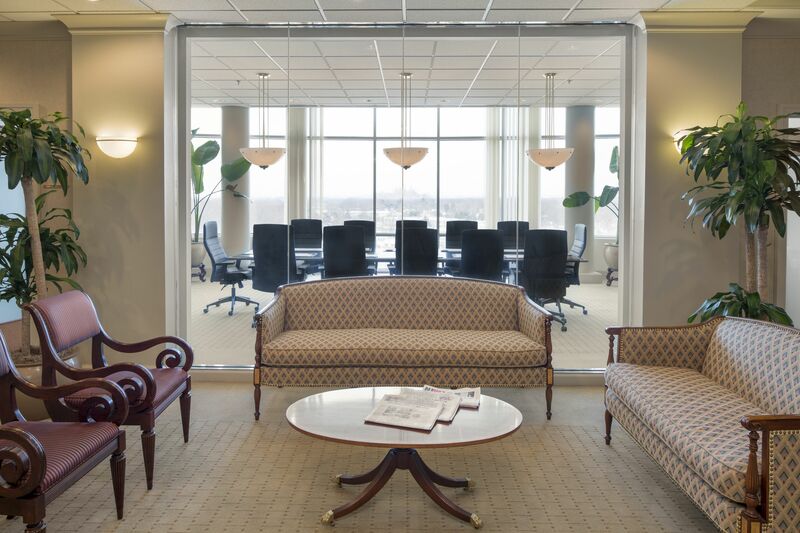 Several prestigious Philadelphia law firms became attracted to LibertyView’s South Jersey location because of its proximity to their Center City base. From an occupancy perspective, with an average occupancy rate of 95% over the last 10 years, LibertyView historically and significantly outperforms the market. Kennedy Medical Group (6,124-square feet), a subsidiary of Kennedy Health System, a major service provider southern New Jersey, with a Moody’s A3 credit rating, occupies a first floor suite, with a direct access to the spacious and well-lit parking lot. Also, being one of the taller buildings in Cherry Hill, LibertyView benefits from multi cell-phone antenna lease contracts.